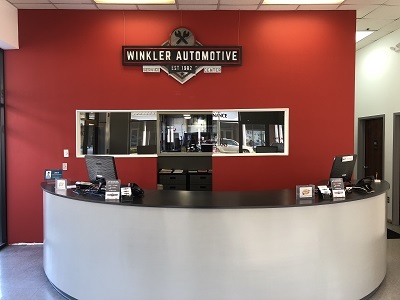 Winkler Automotive Service Center has been located at 401 East Diamond Ave. in Gaithersburg, MD for the last 36 years as an auto repair center and tire dealer. Since the beginning, our business has been focused on building strong customer relationships and providing the highest quality of workmanship on each and every automotive repair. Founded in 1982 and under new management since 2015, Winkler Automotive Service Center is a beacon of honesty, integrity, and value in our community. Our NAPA AutoCare Center is also an ACDelco-certified shop.